Chiropractic can help you feel better from head to toe! One of the largest primary-contact health care professions in Ontario, chiropractic is a hands-on approach that focuses on diagnosis, treatment and preventative care for dysfunctions of the spine, joints, muscles and nervous system. Chiropractic is a regulated health profession, recognized by statute in all Canadian provinces and American states. More than 1.2 million patients in Ontario rely on chiropractic care every year to help them live healthy, active lives. Save time in the clinic by printing and filling forms out before your visit. If you prefer to complete the paperwork at the clinic, please arrive 15 minutes prior to your appointment. We require a minimum of 2 hours notice to cancel chiropractic appointments. We allow patients 1 free missed appointment per year. After the first missed appointment has been used, you will be charged the full appointment fee. Receipts for insurance purposes cannot be given for missed appointments. Your first visit in our office will last approximately 45 minutes. It is advised to wear comfortable clothing and bring any x-ray or radiology reports you have. These evaluations allow your chiropractor to make a diagnosis and prescribe a course of treatment. Thank you for your referrals! When you refer a patient to chiropractic care at our clinic, you will receive a complimentary adjustment. Chiropractic care is covered by most extended health care plans without a physician’s referral. Feel free to call us if you have questions about extended health care plans or chiropractic fees. *Child of Patient: Children, under 14 years of age, whose parent(s) are patients of Dr. Heick, Dr. Blackburn or Dr. Clarkson fall into this billing category. 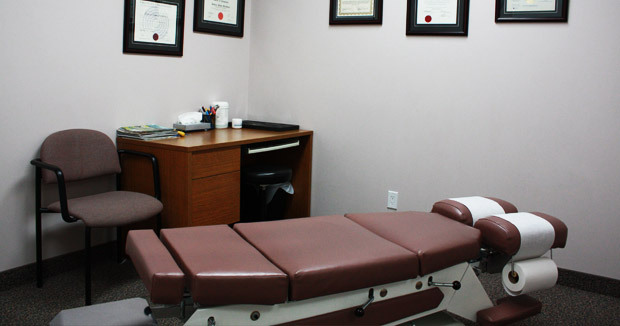 **Patients are required to have a reassessment if a WNCM chiropractor has not treated them for more than 6 months, or if a new complaint requires an extensive examination. Payment is due at the time of the treatment by cash, debit, Visa or MasterCard. A receipt will be provided for submission to extended health care as needed. We do not direct bill.